Current: Slowing the Flow: Flood Management the Natural Way! In honour of the summer warmth we wanted to call attention to our upcoming project called Slowing the Flow. Working with Heritage Lottery and Environment Agency Funding and the leadership of the Cheshire Wildlife Trust this project aims to address one of the most challenging and costly realities of life here in England, flooding. Pressures from climate change and human activity mean that floods have begun to occur more often and when they do occur result in more costly damage. As a result, traditional approaches to flood management are growing less and less effective. 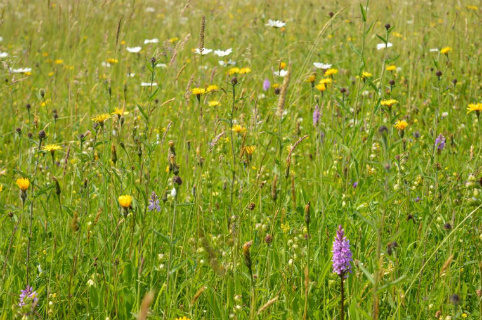 By working with nature rather than against it the Cheshire Wildlife Trust and the South West Peak Landscape Partnership will be working on this issue in a cost-effective and ecologically sound way. Through a number of processes that work to restore a river’s natural flood defences the goal is that we will be able to help reduce downstream flooding. Rather than only combating more traditional symptoms through the construction of costly and imposing concrete barriers we will work to restore the wetlands, floodplains, and riverbank woodlands. These are natures built in flood defences and through their restoration we can work to rehabilitate entire water systems, with far reaching benefits for all. Cheers to that! As with all the Partnerships projects working as a team is essential and we will be working closely with those who know the area best: local communities and landowners. Through these continuing partnerships we will be able to ensure that each and every pound invested is squeezed to maximum benefit in order to protect our communities and restore our precious rivers and streams. Watch this space for updates on this project and others as they come on line. You can also keep in touch via our Facebook and Twitter accounts as well.